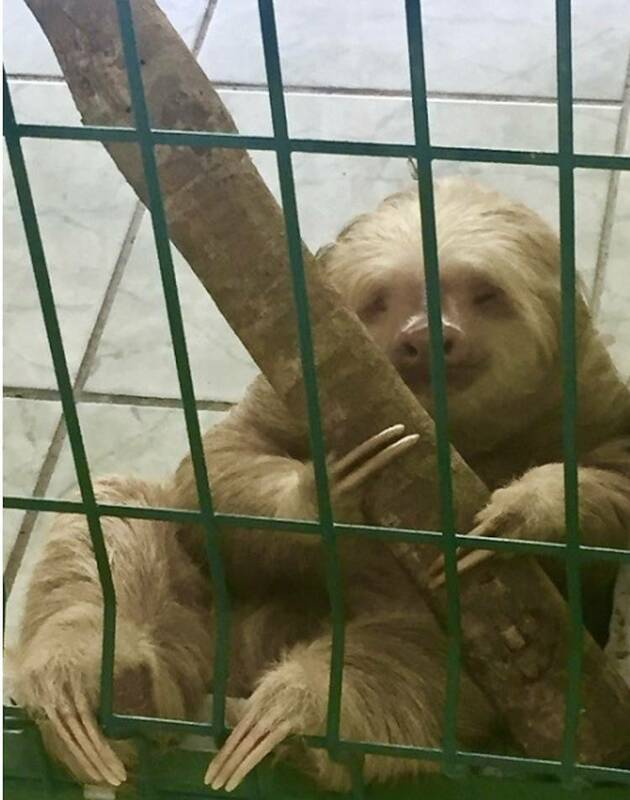 Is the Sloth Sanctuary a Zoo? Now that more is known about sloths, they argue that it is possible to structure successful release programs for them. Yet vets Dunner and Pastor claim that there is no articulated program for rehabilitation in Puerto Limon. They depict a situation more like hoarding than rehab, with some sloths becoming pregnant accidentally (pregnancies are not supposed to occur in animal sanctuaries) and others sent or sold elsewhere, including six to the Dallas World Aquarium (owned by the brother of the Sloth Sanctuary’s PR person) and several to the Saving the Rainforest Sanctuary in Costa Rica. The Sloth Sanctuary in Costa Rica was the first of its kind for these wonderfully engaging animals, and it was a model for others that followed. But questions have arisen. And every sanctuary, along with its supporters, needs to be clear on the difference between a sanctuary and a zoo. 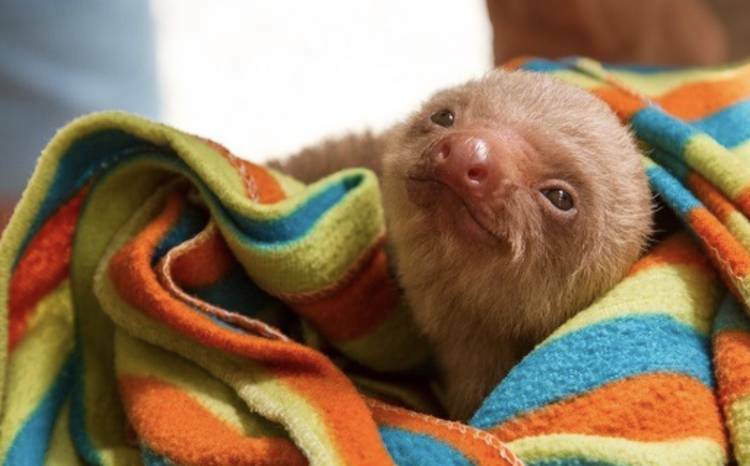 As befitting the creatures for which it was created, the world’s first sloth sanctuary developed very S-L-O-W-L-Y. It began in 1992 with some schoolgirls living near Puerto Limon, Costa Rica. They had found a three-fingered sloth, three months old, on the road one day. The mother had been killed by a car, and the orphan female was destined to die as well, since baby sloths are dependent on their mothers for 12 months and stay with them for years. The girls brought the baby, then weighing about 500 grams, to the one person they hoped could take care of her. Judy Avey-Arroyo was an American married to a Costa Rican; they ran a small tourism business for bird watchers, and had rescued dogs and birds. Locals recognized them as animal lovers. What the girls didn’t know, and neither did Judy, was that knowledge about sloths was almost non-existent back then. Over the next 25 years, Avey-Arroyo was to become a self-taught expert on sloths, and today the Sloth Sanctuary (about 35 minutes south of Limon on the Caribbean coast) is the largest facility of its kind in the world, with “about” 180 current residents. Over this quarter century, information about the lives and habits of sloths has increased dramatcally and so has their public profile, as has that of the sanctuary itself. For example, before the 1990s sloths were referred to as “two-toed” (Choloepus) or “three-toed” (Bradypus variegatus). Today it is understood that all known species of sloth are three-toed. However, the Choloepus has two “fingers” on each fore-extremity, while the Bradypus has three “fingers” on each fore-extremity. The Choloepus is the larger of the two, up to 20 pounds, nocturnal, no tail but four canine teeth for its varied plant diet. Bradypus weighs up to 10 pounds, generally diurnal, with short tails and molar teeth for its leaf diet. However, back in 1992, all Avey-Arroyo knew was that babies stayed on their mothers’ chests, since it was easy to observe wild sloths on their 320-acre property. She didn’t know how long babies drank their mothers’ milk, or what they ate, or when their diet changed between infancy and adulthood. When she contacted zoos and animal experts, no one else knew, either. Avey-Arroyo named the sloth Buttercup, after the Gilbert and Sullivan tune in H.M.S. Pinafore, because visitors at the time were always saying “Poor little thing” in the same singsong way as in “Little Buttercup’s Song.” Buttercup thrived on the diet and the attention, and remains the official greeter for the sanctuary today. She is sociable and communicative and seems very happy. The next two sloth guests were not so fortunate. Both babies, they had been fed cow’s milk before arriving. Both had diarrhea, and soon died. Then came Gigio in 1994. Gigio had been taken from his mother soon after birth and offered to a group of Italian tourists. Outraged that an animal so young had been taken from his mother, they brought him to Avey-Arroyo. At this point, her upbringing as the daughter of a veterinarian came into play. She remembered that her mother gave needy puppies goat’s milk because it was lactose-free. She did the same for Gigio and he too thrived. Now the Avey-Arroyos had two healthy sloths, and their bird-watcher clients were always commenting on them. Two more sloths came in 1996, so the couple filed for appropriate state permits. All wild animals in Costa Rica belong to the state, so if a private facility is to receive injured or orphaned animals (not only sloths), it must be government certified. State certification came in 1997, and the Avey-Arroyos added a sloth experience to their birding program. They contacted cruise companies docking in Puerto Limon, and gradually their reputation spread. In 2009, Animal Planet did a documentary about them, and it was so successful that the producers followed it up with an eight-part series, Meet the Sloths, filmed over the course of 10 months. That really put the sanctuary on the map. People began showing up and buses pulling up at all hours, overwhelming the animals, the staff, and the facility. In response, the Avey-Arroyos canceled their cruise ship contracts, retaining only one with Princess Lines, for its partnership with Discovery Channel (Animal Planet). Today there are no casual visitors; tours begin every hour and numbers are limited. People who show up at the entrance must wait for an available tour or they will not be admitted. A Buttercup two-hour tour costs $25 per adult: one hour of a boat ride through the property and one hour seeing the “permanent resident” sloths while listening to an excellent commentary by Marco, the sanctuary’s bilingual naturalist-guide. The three-to-four-hour Insider’s Tour adds visits to the “Slothpital”, the nursery, and the NICU (neo-natal intensive care unit) for $150 per adult. Visitors are not allowed to touch the animals during either tour. An additional option is staying overnight at the sanctuary’s on-site six-room B&B. To stay there, you must book an Insider’s Tour. Prices are between $100-115 per room, including breakfast. A room accommodates from one to four people. Avey-Arroyo estimates about a thousand visitors per month and says the sanctuary can’t handle many more. Income is generated by the tourists, the B&B, the gift shop ($40 plush sloths, anyone? ), and fundraising. There is no government support. Paying volunteers used to be an additional source of income, but that program no longer exists, perhaps because it was hard to manage . . . or perhaps because of critical comments by former volunteers. Harsher still were comments made by two veterinarians, a husband-and-wife team who were hired by the sanctuary in 2015 and left less than a year later. In May 2016, the website The Dodo published a “J’accuse!” by Camila Dunner and Gabriel Pastor, claiming the sanctuary mistreated its sloths and misrepresented its objectives. They ticked off a long list of accusations: small overcrowded cages, lack of stimulation, inappropriate food, unnatural environments, and sick animals deprived of correct treatment. More harshly, they claimed that the sanctuary consistently violated a basic tenet of wildlife preserves: to rehabilitate and return to the wild as many animals as possible. A touring visitor sees one room with seven cages containing about 10 “permanent residents.” These are adult sloths shown to the public because they will never be released into the wild. They have injuries from accidents or congenital deformations: missing eyes, missing limbs, undershot jaws. Toyota and Darla are amputees. Braveheart has a defective heart. Chewbacca has a bad leg. Bruno is a paraplegic. Their stories are sad and moving, but their cages are large and have treelike branches, and the room is bright and clean. According to Dunner and Pastor, the sloths that visitors never see are crowded together in cramped quarters and fed vegetables. Sloths are solitary creatures and should not be keep together, certainly not four per cage as the vets claim. Sloths are arboreal animals; forcing them into little wire enclosures is the farthest thing from natural. Sloths are primarily leaf eaters; a diet of cooked vegetables can cause stomach distress. Is It a Sanctuary or a Zoo? 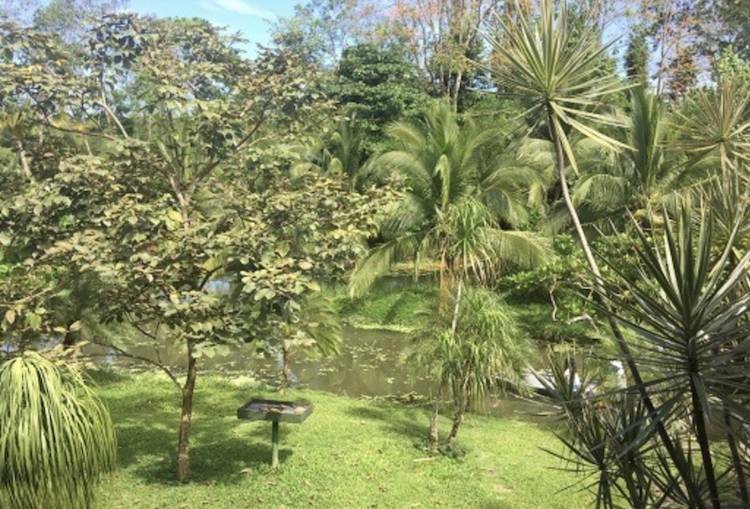 When the sanctuary was first certified by Costa Rica’s environmental agency Ministerio de Ambiente y Energia (MINAE), it was classified as a “zoo” because the concept of rescue centers did not exist. Recent regulations by MINAE are more sophisticated. They require the sanctuary – now recognized as such – to display to the public only animals incapable of taking care of themselves in the wild. Hence the airy “permanent residents” room. Other naturalists disagree. Now that more is known about sloths, they argue that it is possible to structure successful release programs for them. Yet vets Dunner and Pastor claim that there is no articulated program for rehabilitation in Puerto Limon. They depict a situation more like hoarding than rehab, with some sloths becoming pregnant accidentally (pregnancies are not supposed to occur in animal sanctuaries) and others sent or sold elsewhere, including six to the Dallas World Aquarium (owned by the brother of the Sloth Sanctuary’s PR person) and several to the Saving the Rainforest Sanctuary in Costa Rica. Are they also struggling to survive in a caged world that the sanctuary has created for them? Claudia Flisi is a freelance writer with wide expertise from business to fashion, along with her passion for animals. Visit her website ParoleAnima.